Chef in Residency: More Sports Nutrition or Physical Activity Posts? More Sports Nutrition or Physical Activity Posts? Tell me what you're interested in learning more about! 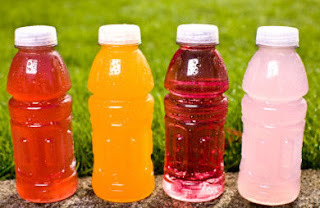 It seems that far and away, the most popular post is the one on how to make your own Gatorade and stay hydrated during exercise. For me, this was a bit of an aside from what I normally post about but am happy to post more if people are interested in sports nutrition or physical activity. Please share your comments or emails about related questions! The link to "make your own Gatorade" doesn't work any more. Any chance you can fix it? I'm sorry, I took it down because of a project that I'm working on right now. It will resurface eventually. If you'd like, I can let you know when it's back up. It is now back up! I think all the content is great, but I have shared the "better-than-gatorade" recipe with my USMS (adult) swim team, which is made up of committed fitness and competitors (triathletes and open-water swimmers). They LOVE having this recipe, as do my husband and I. I'm glad it's back up. I think your blog fills a definite gap, and I hope you never run out of topics! Thank yoU! Midwest Betsy--thanks so much for your kind words! I hope to get more time to post in the future. I definitely will not run out of topics anytime soon!